Not staying overnight on the islands? 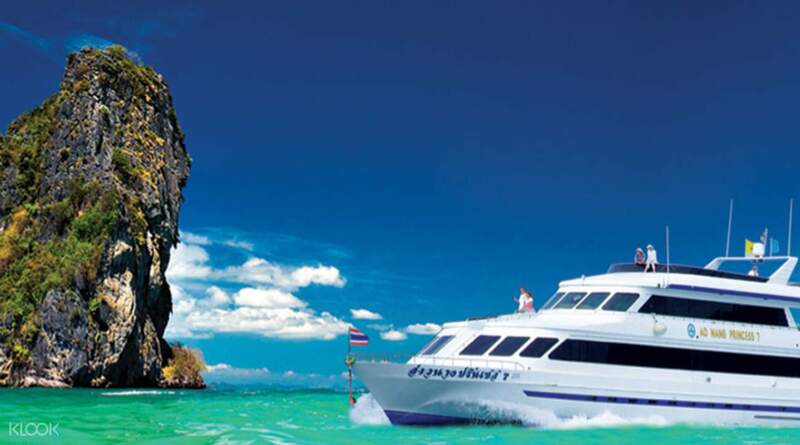 Consider a day tour by speedboat to Koh Phi Phi from Krabi instead! 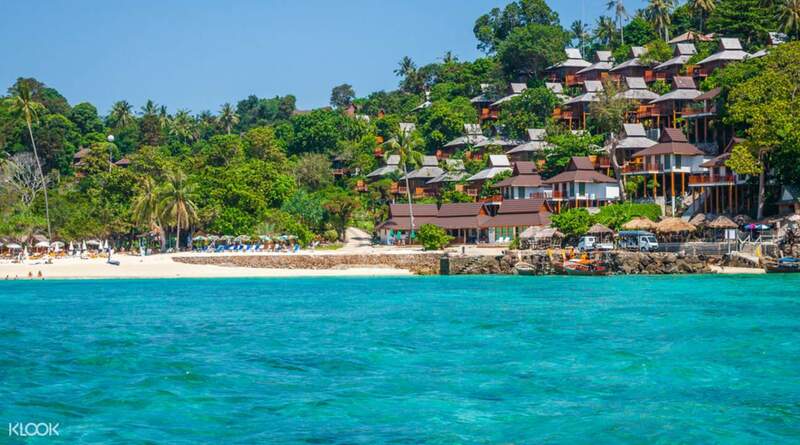 beautiful beaches, food is quite cheap, cool scenery..
Travel between Koh Phi Phi and Krabi with easy one way transfers aboard a comfortable and modern ferry. 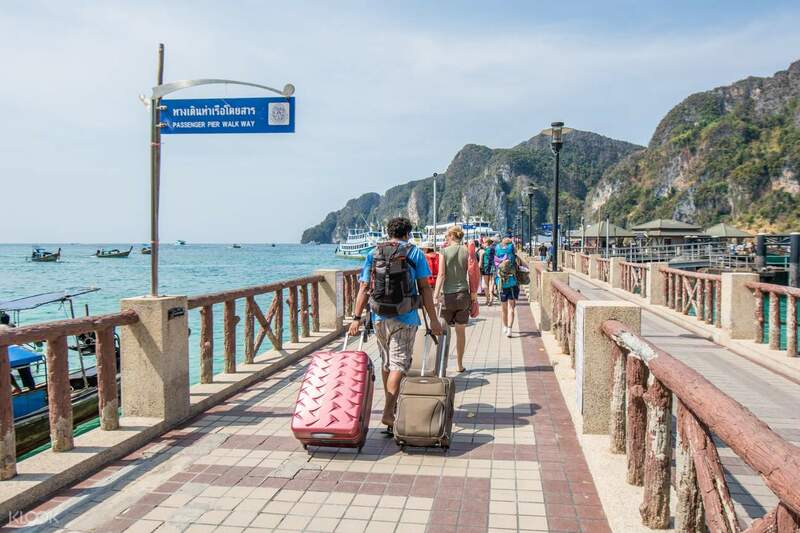 Enjoy daily departures from Krabi to Koh Phi Phi in the morning and Koh Phi Phi to Krabi in the afternoon, allowing you to easily hop the two destinations, and possibly squeezing in a day trip! Sit back and relax while on board and take the time to marvel at the fantastic Thailand landscape during your two hour journey. Plus, if you're coming from Krabi, enjoy a convenient pick up service from your hotel. On the other hand, if Krabi is your destination, once you arrive, the reliable service will drop you off at your accommodation - the most convenient way to get around Thailand! Great service with Hotel Drop off from Phi Phi to Aonang, Krabi. Ferry had 3 floors. 2 were A/C with seating. And top 3rd was rooftop. It took 2 hours. Ferry offers free drinking water. You can also buy food and cold drinks. Great service with Hotel Drop off from Phi Phi to Aonang, Krabi. Ferry had 3 floors. 2 were A/C with seating. And top 3rd was rooftop. It took 2 hours. Ferry offers free drinking water. You can also buy food and cold drinks. It was easy to get to the pier, and the hotel transfer was really convenient. The ferry was really spacious and comfortable. Will definitely re-purchase again. It was easy to get to the pier, and the hotel transfer was really convenient. The ferry was really spacious and comfortable. Will definitely re-purchase again. Transfer was easy. Boat ride was good although it's a little smaller than I expected. But when finding the staff for the sticker to get on the boat is abit confusing but lucky jetty staff are very helpful. Transfer was easy. Boat ride was good although it's a little smaller than I expected. But when finding the staff for the sticker to get on the boat is abit confusing but lucky jetty staff are very helpful. The pick up from the hotel was a bit late than the scheduled time but if was still fine since the pick up was still before the ferry departure time. Pick up people was very helpful. When we arrived at the jetty, the ferry men helped us to xarry some of our luggages and even carried my 4 year old child. They were all fantastic in termz of hospitality. I haven't gone to the toilets on the ferry yet, but hopefully it's clean. The pick up from the hotel was a bit late than the scheduled time but if was still fine since the pick up was still before the ferry departure time. Pick up people was very helpful. When we arrived at the jetty, the ferry men helped us to xarry some of our luggages and even carried my 4 year old child. They were all fantastic in termz of hospitality. I haven't gone to the toilets on the ferry yet, but hopefully it's clean. Ferry was much more comfortable than one we took from Phuket to Phi Phi (nice seats from the aircraft). Transport to hotel was in songthaew (so mot as nice as in Phuket) but the ride was only 10-15 mins. It wasn’t fully clear when will driver stop next but google maps was ready to save the day if needed. Ferry was much more comfortable than one we took from Phuket to Phi Phi (nice seats from the aircraft). Transport to hotel was in songthaew (so mot as nice as in Phuket) but the ride was only 10-15 mins. It wasn’t fully clear when will driver stop next but google maps was ready to save the day if needed. Very good transfer! I'm recommend using!!!!!!!!!!!!!!!!!!!!!!!!!!!!!!!!!!!!!!!!!!!!!!!!!!! Very good transfer! I'm recommend using!!!!!!!!!!!!!!!!!!!!!!!!!!!!!!!!!!!!!!!!!!!!!!!!!!! It was a very good experience. Booking through Klook made the entire process very seamless. Having that piece of mind was very important. However I felt that tickets were cheaper at the ferry counter compared to the price I paid Klook. It was a very good experience. Booking through Klook made the entire process very seamless. Having that piece of mind was very important. However I felt that tickets were cheaper at the ferry counter compared to the price I paid Klook. Another convenient experience with Klook.. Though Pick up was slightly delayed, we reached the pier on time. Ferry was super convenient and fun. A big thumbs up.. Phi Phi is a fun and exciting place. Must visit for all the party experience. Another convenient experience with Klook.. Though Pick up was slightly delayed, we reached the pier on time. Ferry was super convenient and fun. A big thumbs up.. Phi Phi is a fun and exciting place. Must visit for all the party experience.